Climbing "Roof of the world". Day 8. "The native land of the President"
In the morning we have left to Kulob. 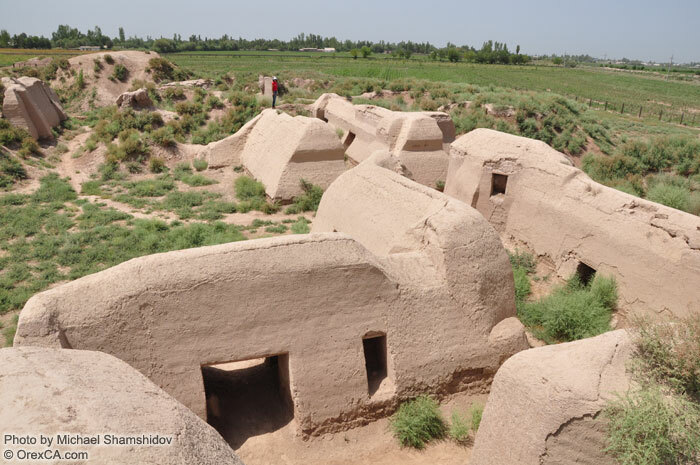 On the road, passing the small town of Kurgantyube, we have called in to the excavation of a Buddhist monastery of Adzhin-Teppa (the Devil's barrow) - the exact place where "Buddha in nirvana", which is now kept in the Museum of Antiquities in Dushanbe, had been found. 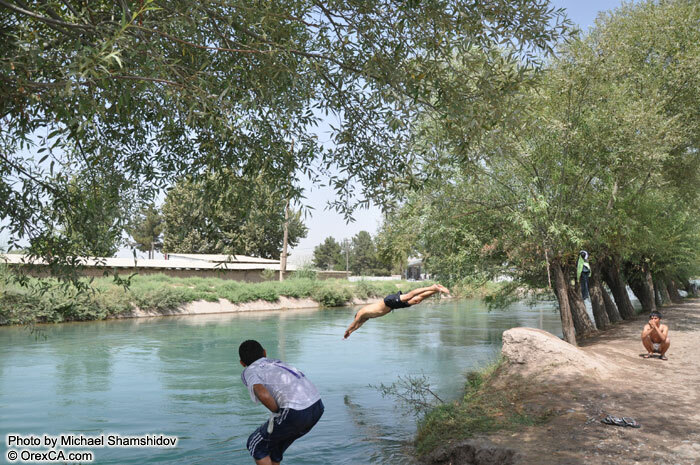 On the way back, down the main road we have seen the channel with rushing blue water where local boys were diving. Swimming temptation was so strong that all members of our expedition have jumped into the cold water - after all it was +45 degrees outside! Further we went down the road through the low hills covered with relic pistachio trees. 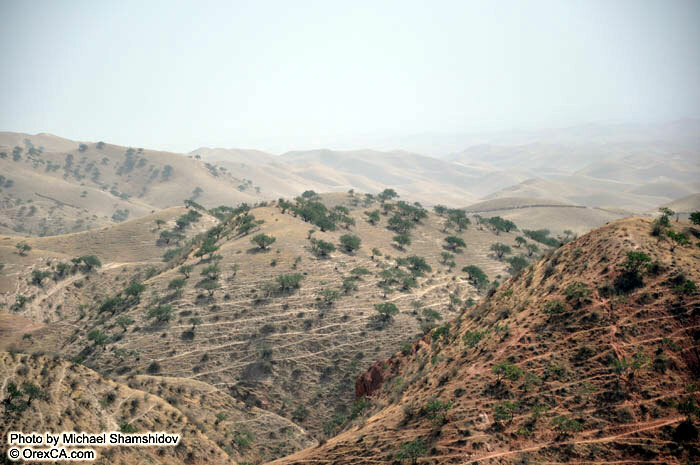 A long time ago pistachios grew all over the mountains of Central Asia. 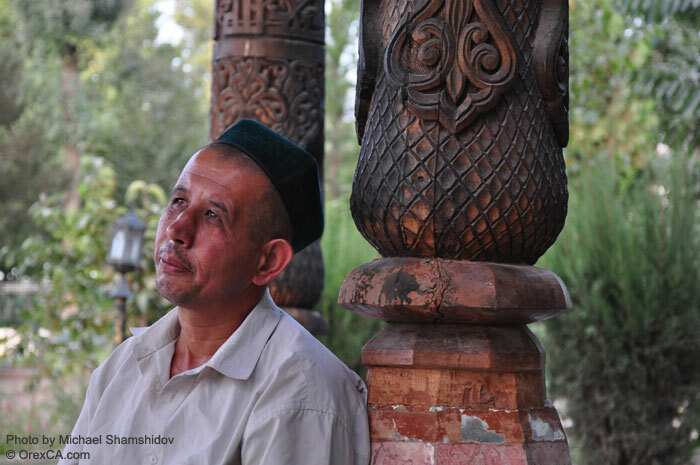 In fact it's a really valuable product, but unfortunately human-beings have destroyed this noble tree almost everywhere - anyway, having visited each area in the Central Asian republics, for the first time we have seen so much of wild pistachio - probably, local residents finally decided that collecting and selling nuts is much more profitable, than cutting trees down for fire wood. Towards lunch time a tall vallum appeared in front of our eyes. 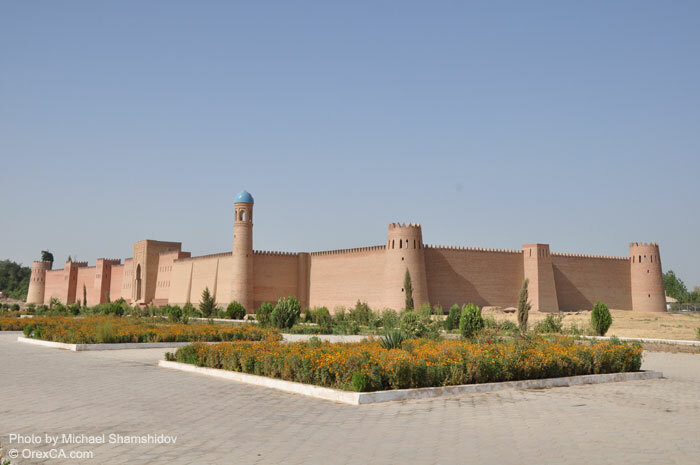 It appeared to be the ancient fortress Hulbuk dated by VIII century recently restored under the decree of the president. The local guide has told us interesting stories about the life in the fortress, showed outlines of the bases of rooms, halls and harems of the local governor's palace. In front of the fortress there is a big square where concerts are held on the occasion of holidays and visits of distinguished guests. Across the road from the fortress we found the museum of local lore where, to speak frankly, because of restoration we have been shown only one big banner on the wall. 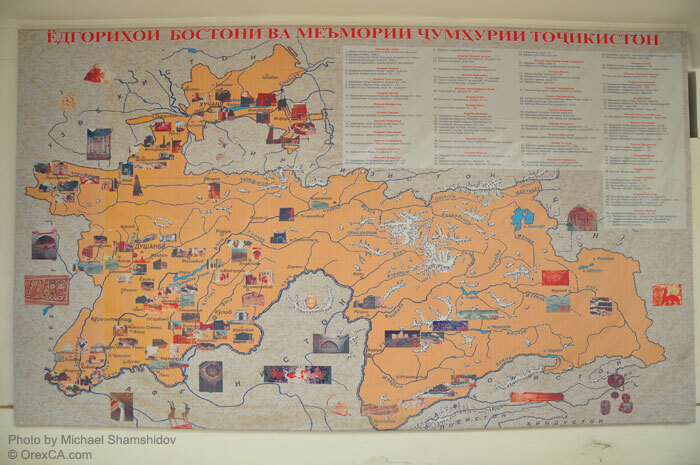 It was a map of all historical places and sights of Tajikistan. The mountain range was seen in the distance, and the guide has drawn our attention to two mountains standing nearby which appeared to be saline. By some way it has reminded me Sodom Mountain at the Dead Sea in Israel. On the way we have seen many flower beds, in each city and small town, near each historical object. 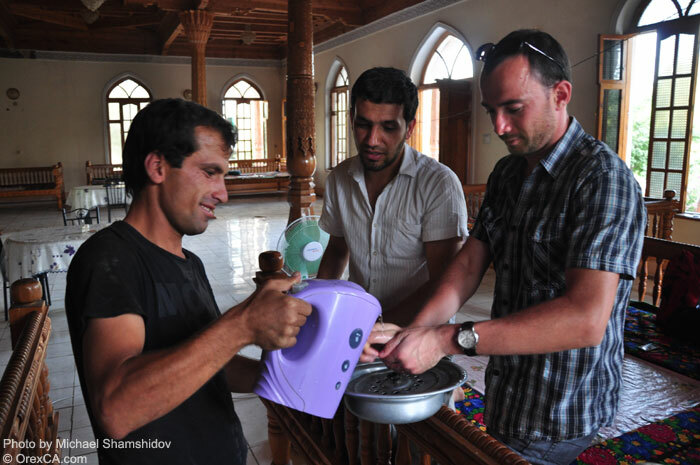 Flowers create a very pleasant impression, and they are everywhere in Tajikistan, and people take care of them. 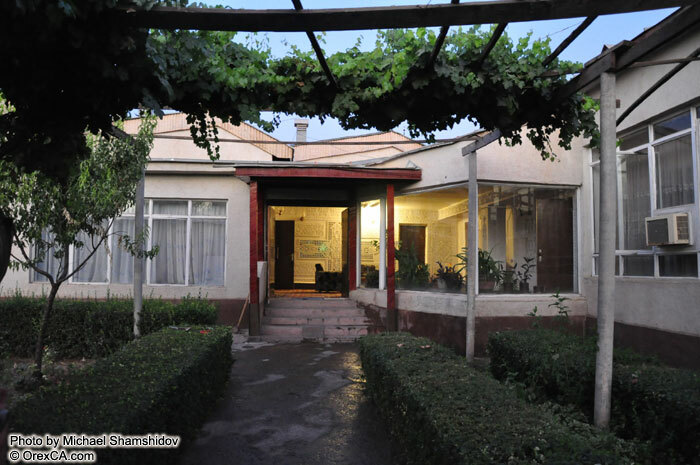 Having arrived to Kulob - the centre of Khatlon area, we have seen provincial small town with several office buildings sheathed by Alukobond and one grandiose structure, symbolizing achievements and greatness of modern Tajikistan, all the rest were mahallas and old-Soviet office buildings. 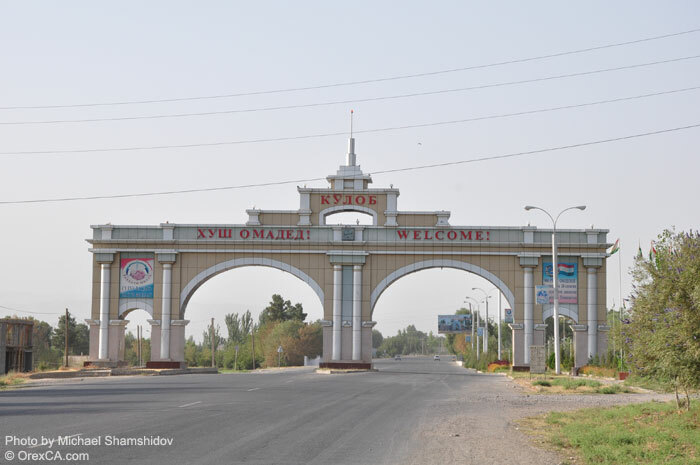 Everybody told us so much about the Native land of the President and about numerous investments there, but, probably either we were at wrong places, or the authorities had decided to leave Kulob in the protogenic image. 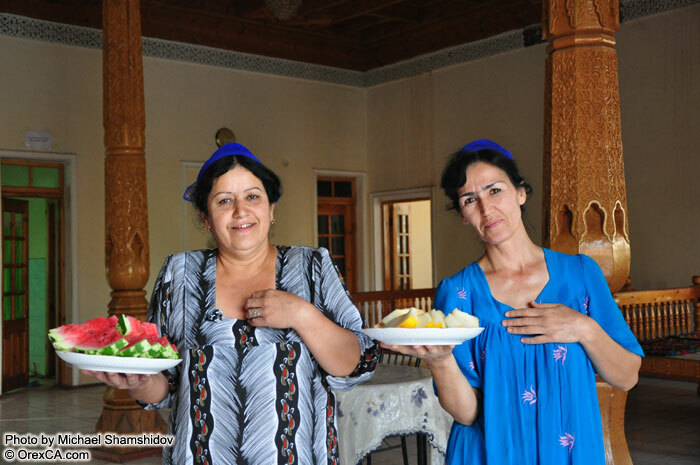 Kulob (Dangara) is at the same time the native land of the majority of ministers and the high-ranking officials. What a coincidence! However, despite external modesty Kulob has appeared to be one of the most ancient cities of the country. It is located at the water gap of the Jahsu River, at footstep of Hazratishoh ridge, 203 km to the southeast from Dushanbe. Approximately 97, 5 thousand inhabitants live here now. 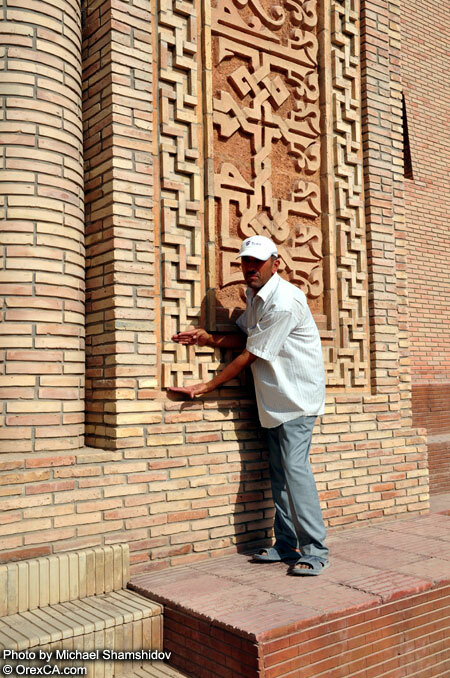 The city was on a branch of the Great Silk Road and in ancient time had close trade, economic and cultural connection with many countries of East and West. It was already getting dark, when after late dinner in choyhona with affable "kinai" (married ladies), who had fed us to satiety, we went for sightseeing. 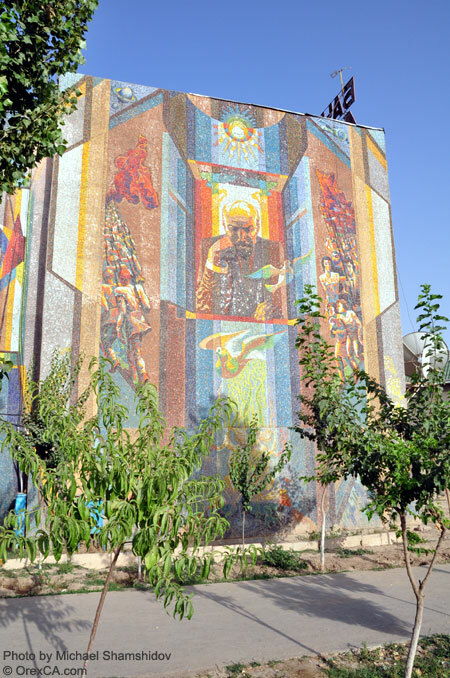 In the beginning we have gone to the Mausoleum of Mir-Said Ali Hamadoni - a poet, Sufi, philosopher and thinker of XIV century. 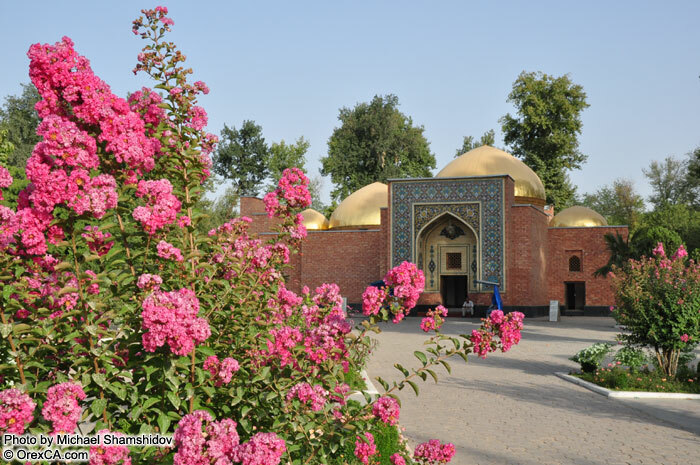 This mausoleum is the most known sight of Kulob and a place of pilgrimage for local population and numerous visitors. Among pilgrims it is possible to allocate Kashmir people especially as they call Hamadoni the Apostle of Kashmir for he has actually brought Islam to Kashmir, and not by ferro et igni but by missionary and educational activity. Then, having walked on the main city street and having reached a small park, we have accommodated in a modest hotel "No name" where apparently, taking into consideration traditions and making thrifty use of the historical past, nobody changed anything from Soviet period, except for bed-clothes.